There is a very simple but often very confusing paradox that so many individuals do not understand: Eating for health and eating for managing weight are two different endeavors that don’t necessarily go hand-in-hand.” It is a paradox that you must make clear to yourself if you want to succeed at weight loss. Weight loss and health do overlap. If a person loses weight then this weight loss itself improves the personś health parameters such as blood cholesterol, blood pressure, blood sugar response, triglycerides. Such parameters of health can improve by simply losing weight, despite the type of diet the person might be following. Losing weight and health are often separate goals and when you look at it from simply the perspective of energy balance then it comes down to this: If a person is in a deficit of calories then he/she loses weight, even if most of the calories come from McDonald’s. And even though your diet might be totally healthy; organic, nutrient dense and natural, you will still gain weight if you are in a calorie surplus. Weight loss itself is simply a function of energy balance. What matters is not the source of the calories but whether or not you are in a calorie deficit. Well, the type of foods you consume, can and does influence the equation of energy balance (affecting satiety and appetite). A food that makes you fuller is better than a food that does not make you feel fuller, unless you don’t eat those foods consistently in a calorie surplus. Conversely, foods that are not filling and make a person feel hungrier, then it means that these foods are not exactly suitable for losing weight, unless the person has the strength to restrain him/herself from eating too much of these foods. Everyone agrees, and rightfully so, that high fiber foods are ideal for weight loss because they are high in fiber, have low calorie density and these foods require lots of chewing, so you have to eat them slowly. On the other hand, these foods are not ideal for losing weight if you are already in a calorie surplus. A certain food does also influence what type of weight you lose or either gain when being in a calorie deficit or surplus. When a person is in a surplus of calories then the person can gain fat or muscle and when a person is in a deficit of calorie then he or she can lose fat and/or muscle! 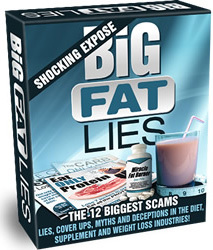 Ideally of course you would want to lose fat only when being in a deficit and gain muscle only when being in a deficit. Many things such as your macronutrient ratios and your food choices, along with whether you are sedentary or active in weight training, influence this. A diet that mostly consists of simple carbohydrates will certainly not be as effective as a diet with adequate amounts of proteins and healthy fats when it comes to body composition. Also the types of food you consume also influence thermogenesis in different ways. Protein for example is highly thermic and when eating foods high in protein then your body can burn around 30% of these calories just by digesting the protein and assimilating it into amino acids. So a calorie is not a calorie and when comparing a high protein diet to a high sugar diet (sweets/junk food) then a high protein diet comes out on top because of the higher thermogenesis. But despite all of that, if taking a look at the “net effect” – if you control macro for macro and calorie for calorie fairly, and if you also control other such variables, then the energy balance laws still hold true: losing weight is a totally predictable function of calories in vs. calories out. Lots of people still do not get this and firmly believe that healthy eating must make you lose weight, and leaner and it does, in the sense that many of the healthy and clean foods are green and fibrous vegetables, natural lean proteins, have a low calorie density and high nutrient density. These “clean” and healthy foods are generally high in fiber, which require lots of chewing and therefore decrease hunger and make us feel fuller. All foods which have these qualities are great fat loss foods. So the first step you need to take is make sure your calories are in check, because if they are not, you simply will not lose weight. But the calculation of calories is just the first step in the many steps in losing weight and getting healthier. The next step would be to make sure that fill your calorie limit with the most nutritious foods possible, which will help you keep you satisfied while being on a deficit, that will improve your body composition and also help you stay healthy and energetic in the long-term. The reason why so many people can not get over the paradox of clean eating, is because they believe that nutrition/health and management of weight are the same pursuit, but they are not. To understand this more clearly, you can look at the countless unhealthy ways that people can and do lose weight or the ways you can gain fat by following a 100% “healthy” nutrition plan. You can find many studies where subjects consumed mostly sucrose, but since they were in a calorie deficit, they lost weight. These researchers of course DID NOT recommend a 100% sugar diet, but simply showed an experiment showing the effects of energy balance. Just because you can lose weight on a 100% sugar diet or a 100% alcohol diet, does not mean it is recommended or sensible. There have been quite a few stories in the media of anecdotal weight loss experiments, such as the professor who lost weight by eating mostly Twinkies in the “Twinkies diet.” The professor was able to lose weight of course by counting his calories accurately. If your body does not get enough energy from food then it has to take the energy from somewhere else, such as your body fat! 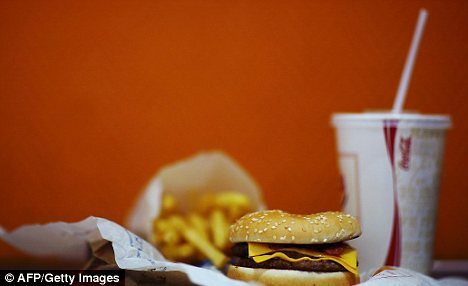 Junk foods and fast foods are generally foods which are calorie dense. When someone says that “sugary sweets, sodas and fast food make you fat” then it is not true, in the sense of cause and effect. Fast foods and sugary sweets do not turn you fat automatically, but since these foods are all high in calories then they are major contributors to the calories surplus and it is the calorie surplus that makes people fat. It would be much easier to lose weight by following a diet which is 90% “clean” with around 10% of “naughty foods than following a diet which is 50:50, mainly because the 90% clean diet makes you feel fuller and therefore it is easier to comply to that. So you can certainly lose weight by eating mostly at McDonald’s if you keep your calories in check, just like you can lose weight by eating 100% healthy foods by keeping your calories in check. Of course it is not healthy for your long-term health to eat only at McDonald’s but it is also not wise to overly restrict yourself!